Fall Leaves Digital Paper - Fall Colors and Black and White. 24 different styles. 12 X 12, 300 dpi. JPEG file format. 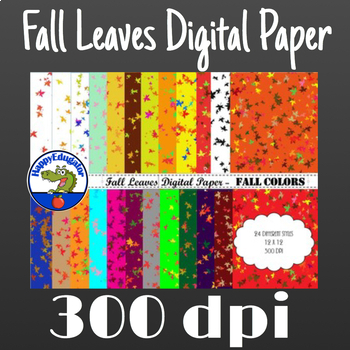 High quality digital papers for your autumn creations. Personal or commercial use. •	Please go to your My Purchases page (you may need to login). Beside each purchase you'll see a Provide Feedback button. Simply give a quick rating and leave a short comment for the product.